Alexandre Vauthier fastened a host of different belts over '80s-inspired tailoring and dresses at the brand's Spring '19 presentation. Worn over this mini style on the day, this wide piece has been made in Italy from glossy patent-leather in black. 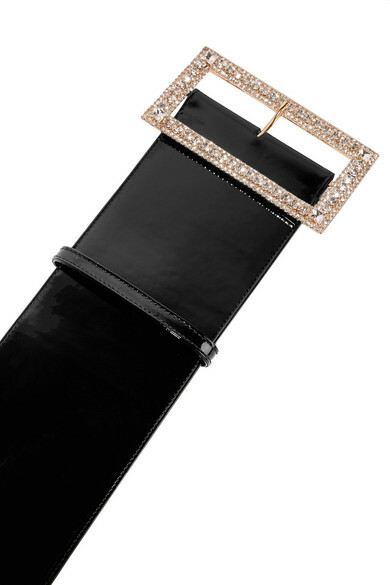 The oversized buckle is encrusted with scores of twinkling crystals. Shown here with: Alexandre Vauthier Dress, Isabel Marant Earrings.